It’s really sunny now but as I looked out first thing it looked like it was going to turn grim! 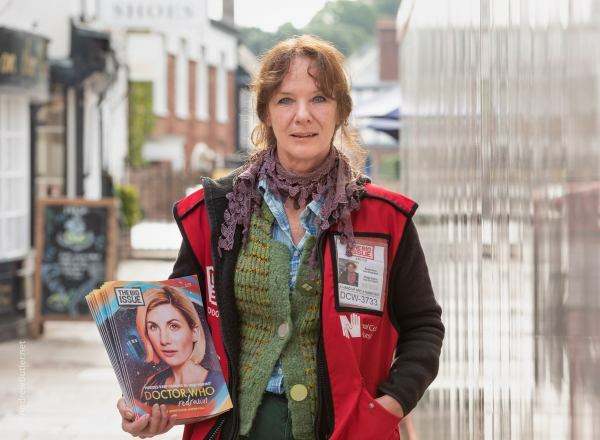 I had a small commission to take some shots of Ann selling the Big Issue in Exeter. Whilst it often rains and the publication still gets sold we were looking for a bright shot. 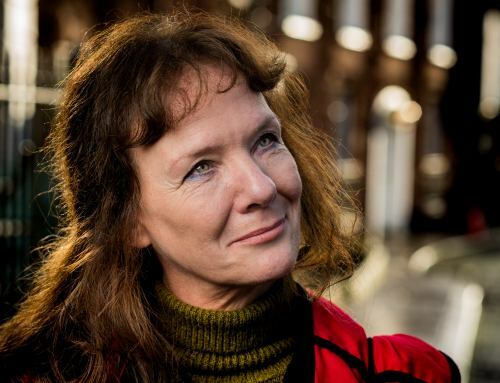 So, cameras in the backpack, me on the motorbike and a quick trip to town to find Ann. We took a number of shots in a short period of time, but had a great chat, a lovely woman, if you see her, or any of her colleagues just buy one.